With the Dec. 26 edition of the Sandy Post, News Reporter Brittany Allen introduced you to the newest members of the Sandy City Council, and reminded you of the passing of Bob Boring, for whose family that community is named. She also wrote about the reopening the Sandy Fire Station in 2018, and she reported on the passing of the torch from Rep. Jeff Helfrich, a Republican, to political newcomer Rep. Anna Williams, a Democrat from Hood River. These stories, though all very different, are similar in several respects: They were written by a Sandy Post news reporter; you won't read these stories anywhere else; and all of our news content comes at a price. Brittany, for example, was paid for every hour she spent in meetings and interviews. She was on the clock while she was writing her stories and filing her photographs. An editor was paid to approve her stories for publication. A designer placed the stories on pages. Others operated the press. We pay for paper, ink and postage. And later Brittany pushed the story to the website and social media. Any yet since The Sandy Post launched its website in the 1990s, we have always provided our online visitors a free pass to our content, while charging a subscription fee to our customers who receive the printed newspaper. That worked well for years because our customers were sharply divided into two camps — those who only wanted an actual newspaper, and those who will only read the stories if they can find them online. The number of people who access our online news content is on an upward trend, even as the number of print subscribers is waning. It's a positive reality of our industry. But in order to provide the same level of news coverage in both print and online, we've arrived at the necessary decision to charge for access to news content on our website. To put it simply, we're putting up a paywall. QUESTION: If I already subscribe to the print edition will I have free access to the website? QUESTION: How much will it cost for a single year — print or digital — subscription to The Sandy Post? ANSWER: $30 per year in print/digital; $20 per year for digital only; $1 for an online day pass. QUESTION: Can I buy a single story? ANSWER: We are launching what's called a "monthly metered paywall," where web visitors will be able to read three stories a month at no cost; though you will be asked to provide an email address. You'll encounter the paywall after the third free story each month. QUESTION: Will some of the content remain available outside of the paywall? ANSWER: The paywall will never prohibit access to digital advertising, classified ads, obituaries and Insiders. QUESTION: What about big news stories? Will I have access to those? ANSWER: Yes. Our newsroom editor will have discretion to post "breaking news" outside the paywall. So in the event of an impending eruption of Mount Hood, we won't charge you to read the words "RUN FOR YOUR LIFE." QUESTION: Is this specific to The Sandy Post? ANSWER: Yes and no. The Portland Tribune, which is part of the Pamplin Media Group, is a free publication, so it won't move behind a paywall. But all other Pamplin publications that charge subscription fees are transitioning to this model. QUESTION: When is this happening? ANSWER: The switch flips on Monday, Jan. 21. For more than 76 years, The Sandy Post has reported on the news of Sandy, Boring and the mountain communities, and that's not changing anytime soon. We'll cover city councils, school boards, sports, classrooms, crime, entertainment, health and every other imaginable topic for as long as people are interested in knowing what's going on in their communities. The only difference now is that we're going to charge a fee for access to our website, which more than anything else reflects the shift in how people are accessing our content. We appreciate our subscribers and advertisers, who collectively make it possible for us every day to cover your communities, and to do it better than any other local media. We can't do this without your support. It's a symbiotic partnership that we embrace. Thank you for your understanding as we make this transition. 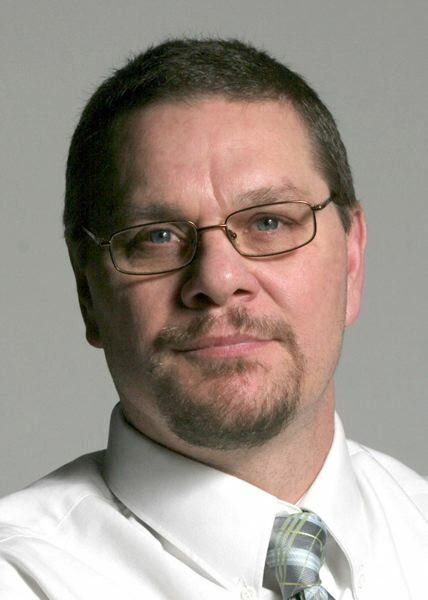 Steve Brown is publisher of The Outlook, Sandy Post and Estacada News, which are part of the Pamplin Media Group.